If you're like most scrapbookers, you love looking through your older albums...after all, that's what scrapbooks are for! I certainly enjoy looking back at how much my kids have grown, revisiting places I've been and seeing family and friends that are no longer with us. 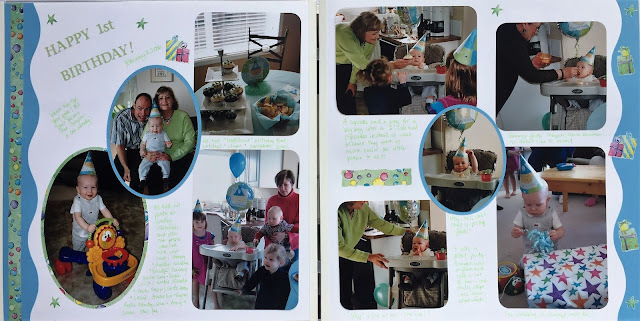 I also enjoy looking at how my own personal scrapbooking style has changed and evolved. In some ways I see a big change, yet in other ways I've stayed the same - creating photo and story focused pages with simple design and a few little extras to spice up the page. 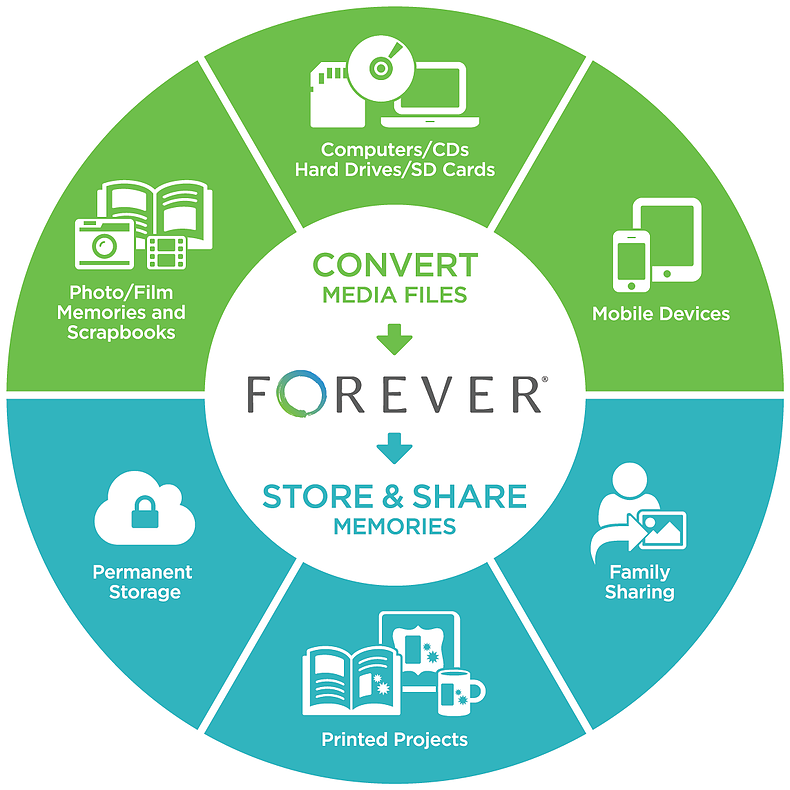 And, I still love using Creative Memories products! I was looking at some of our older family albums (with album pages circa 2003 to 2006!) the other day, and I came across several layouts where I used one of my most favorite tools - the decorative trimmer! I still have and use my original dark blue trimmer, but I'm so glad that CM is bringing it back! 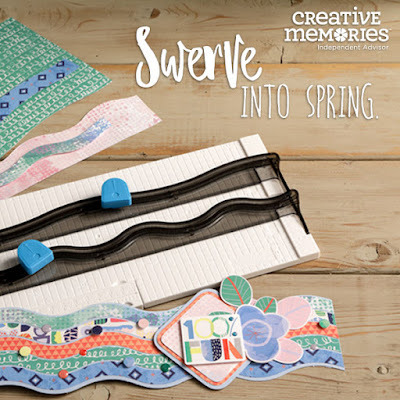 It is still an easy way to bring a few soft edges into an otherwise straight layout and you can have lots of fun making waves and curvy borders. 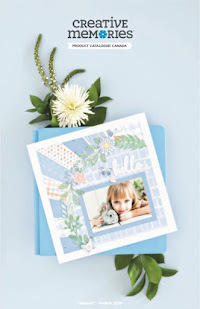 I love this sample border they made using the new Sorbet Collection! Since everything old is new again, I thought I'd share a couple of older layouts where I used the decorative trimmer! In this layout from our first Christmas in our first home (2003), I used the gentle waves blade to create borders along the top of the layout, and the old CM circle punch to make the "ornaments". Dig that gold journaling! In this layout from my son's first birthday (2006), I used the curvy blade of the trimmer to create borders on the sides of each page. I added several embellishments (can you say "sticker sneeze?!) and was also apparently really into cutting many photos with the Oval Custom Cutting System, and journaling with a colored pen during this time! Still, I love this layout for the photos and memories it brings back! 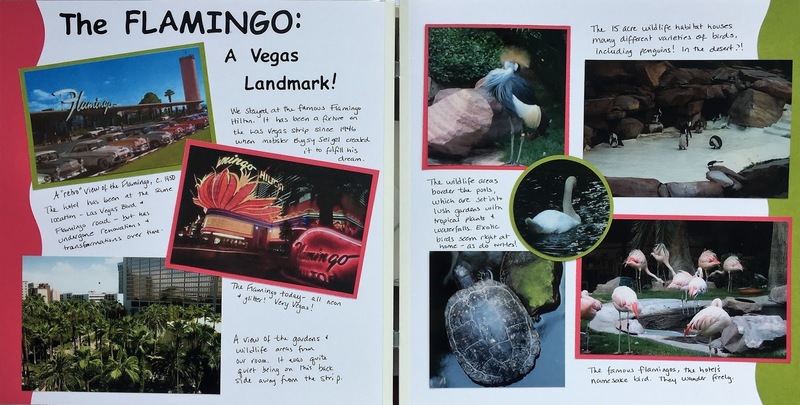 In this layout with some photos of a trip to Vegas (2005), I used only two colors of cardstock to highlight the photos with mats and curvy borders that are placed once again along the sides of the layout. I think this layout reflects my "real" style a little bit more...I tend towards a cleaner more streamlined page with lots of photos and minimal embellishment. 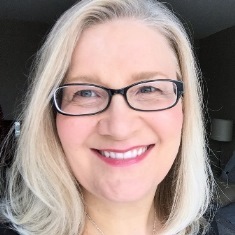 How fun to look back and have a chuckle! How often do you look at your older albums? Do you see similarities in your layouts? Do you have a few favorites, or some that make you cringe? I'd love to see them...please consider sharing them over on my facebook page! I'll share more of my older layouts in another Throwback Thursday post soon!